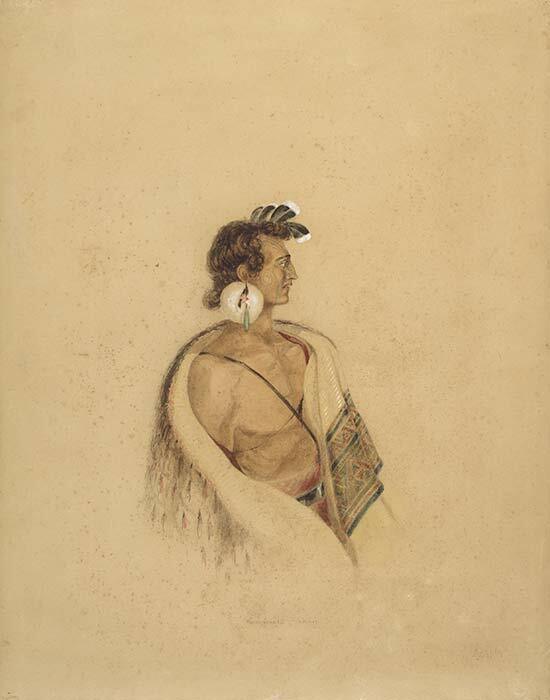 This 1840 watercolour by Charles Heaphy shows Te Rangihaeata, an important chief of the Ngāti Toa tribe. In Te Rangihaeata’s ear is a pōhoi toroa, a balled earring of albatross feathers. He also wears six huia feathers on his head, and a cloak made from kiwi feathers. The feathers of toroa, huia and kiwi were often worn by people of high status.